Burnout for physical therapists is increasing. So is the cost of physical therapy school. With increasing burnout and increasing debt, many therapists are looking for alternative careers. Travel physical therapy is one of the best careers to prevent physical therapy burnout but also conquer your student debt! This list isn’t comprehensive, but I think you get the point! There are many reasons why we are fatigued and looking for another way to use our skills and help people but yet not feel drained at the end of the day. Now unfortunately, I cant fix how patients treat you or the rules and regulations of healthcare. But I can provide a way for you to find upward growth and career development. And this is through travel physical therapy. 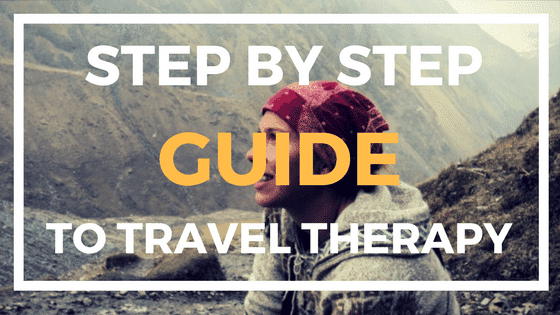 What is travel physical therapy? Travel PT is a career route where you work short-term assignments (often 13 weeks) for very high pay. There are travel positions nationwide and in basically every setting. You are performing all of your normal PT duties, but you are just working for about 3 months at a hospital or a clinic. You are able to choose where you want to work, how many 13-week assignments you want to take, and how long of break you want in between contracts. You are able to choose what setting you want to work in as well. Many permanent positions come with the ability to only see one type of patient and perform only select duties. Since you are not able to vary your skills and interact with a diversity of professions, it will be difficult for you to grow your resume and move upwards. Many permanent positions have a staff of several therapists and one manager or supervisor. That supervisor is not going anywhere anytime soon. So you are stuck be the low level PT for decades. With reimbursements declining and costs of rent and utilities increasing, there’s no budget to give you a raise or hire another supervisor. But….as a travel PT, you are able to work in a variety of settings. This means you can grow your resume and tons more skills. Travel PT’s are often thrown in to higher level positions due to the lack of staffing at the assignment. One year after graduation, as a travel PT, I found myself the lead PT of the orthopedic unit at a level 1 trauma center. I was totally running the show! I was talking with doctors, social workers, nurses, nurse managers and we were all working as a team to discharge patients home safely and quickly. I took that skill to all the next jobs I worked and it made me that much more impressive to hire. Many PT struggle with not knowing their ideal setting. As a traveler, you can learn what setting you want to specialize in as well as what qualities you want in your permanent position. When I graduated, I had no idea what I want to do. My clinical’s provided me only a sliver of what it was like to be an actual PT and there were so many other settings I never had the chance to experience. But as a traveler, I was able to work in acute rehabilitation, acute care, skilled nursing and more and this was able to help me understand what setting I really enjoyed. It helped know that I really liked working with veterans. By working a variety of places, I also was able to gain an understanding of the type of supervisor I wanted, the type of caseload I wanted, the commute I needed, and many other personal needs I wasn’t really aware to ask or consider when applying to permanent positions as a new graduate. Many physical therapists are tired of barely making ends meet and struggling to repay their student loans. The debt to income ratio of physical therapists makes it very difficult for PT’s to become debt free without serious sacrifices. 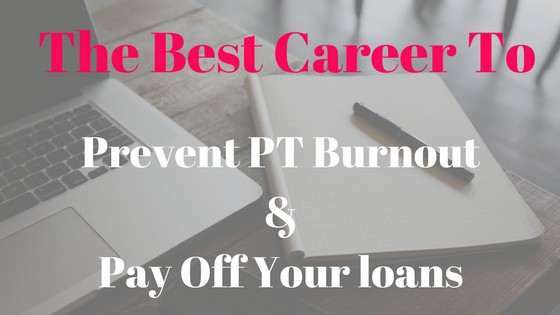 There are several ways PT’s can become debt free such as starting your own cash based business, starting an online business, and even leaving patient care all together. But, for many of us, we want to still use our skills. We want to become debt free without really having to work hard or take big risks. That’s why travel PT is so amazing! Travel PT can help you become debt free with out the risk or sacrifices! 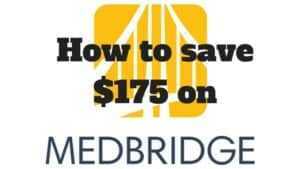 Travel PT’s can often earn between $1500 – $2000 a week, often after taxes! Now, I cannot promise what you will earn, but this is what I and many others have earned over our experiences. Now you will likely earn something in the middle of the $78,000 and $104,000 because your tax situation may differ. Your cost of living and your experience level and even your setting will all influence your earnings. In addition, this assumes you will take no breaks in between assignments. Now lets compare this to a standard new graduate permanent position which pays you $70,000 a year pre tax. According to Neurvoo.com, this would equate to roughly $52,000 after taxes for a single individual (for married and with children, this would be different). So even if you are earning the lowest amount as a traveler at $78,000 after taxes, you are still earning $26,000 more annually than a permanent position. 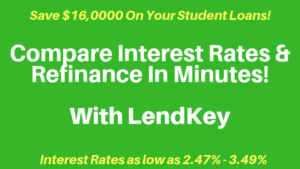 If you have a $100,000 student loan, that means that you could pay off this loan 26% faster. In addition as a traveler, you often get reimbursed for your licenses, continuing education, your CPR certification and you often get bonuses for job completion or signing on to new assignments. Want to earn FREE money and GET PAID to shop! These apps automatically pay you $10 after your first purchase or registration plus you will continue to earn money easily through their use! Ebates is the simplest way to shop and get paid to do so! You simply sign up for Ebates and then every time you make a purchase online, Ebates will help provide you with coupons and cash back for the purchase! Ebates knows when I’m going to shop at one of their affiliated stores and automatically alerts me. So there is absolutely no work needed! If you click this link, you will also get $10 for FREE the first time you make a purchase of $25 or more! (Thats in addition to cash back on the purchase). This one takes a little more work but its great for getting cash back on groceries (which Ebates doesn’t do unless you buy online at Amazon for example). Its a simple app that you input your qualifying purchases into for cash back. For example, say I bought a pack of strawberries at the store, Ibotta may give me $1.00 for the purchase! Its quick to scan your receipts and is a great tool if you are shopping in store instead of online. If you click this link, you will get $10 for FREE after you make one purchase! Almost 1 million people have used Robin Hood to invest online for FREE! Investing is a great avenue to help build your wealth more passively. Even better, if you use this link you will get a free share of stock like Apple, Ford or Sprint (valued between $2.50 – $200).